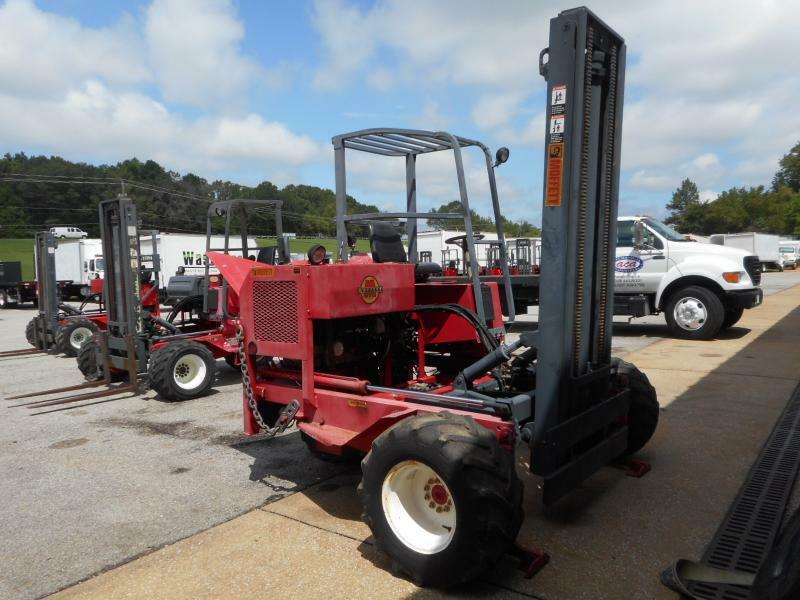 When purchasing a Moffett truck, it means you have to focus on some generous investment upfront on your part. Regardless of whether you decide to choose to invest in a brand new or a used Moffett lift truck from us, here at Moffett Truck, our advice is that one of the best ways you can recoup your investment is through ensuring that you have a clearer understanding of all the possible options and your business or warehouse equipment. Since a big portion of choosing the right forklift all depends on how well you carry out your research (this means background check), as you read on, we would like you to guide you about the major factors you should consider when you invest in our range of Moffett lift trucks. You should keep in mind that each brand of lift trucks comes with its own ergonomics and unique design. Some of these brands excel better when driving them in narrow aisles, while others focus on lifting. When you visit us, you should take your time to learn about the specifications of each brand. Talk to our experts who would guide you better on the use of forklifts for other operations on your business site. Tip: Narrowing down your option should make it easier for you to make your choice. In addition, for the best vehicle, you should also go through the reviews of some of our customers. The ultimate goal of investing in a lift truck is to increase the speed of onsite lifting and warehouse performance as well as improve the productivity at the workplace. The cost of the ownership is an important factor because all the expenses you need do not just end there after the initial cost. Before you sign any deal, make sure you are confident about maintenance, part costs, and resale value. Consider whether the purchase you make will give you a better ROI. The efficiency of lift trucks all depends on the attachments that come with it. For example, consider the self-dumping hopper in the lift truck, which would allow you to retrieve and deliver relatively heavier bins and materials from one place to the other. You can consult our dealers about the various spare parts, and learn about their availability. When you hunt for lift trucks, it is easy for you the buyer to lose your direction with the various amounts of information on each truck. To avoid hasty decisions in terms of purchasing the truck, buyers should remember that a lift truck has to be one that caters to your business needs first. You have to examine the various goods you wish to handle. Make sure you have certified operators, and consider the types of materials or goods you want to carry around, and this should help you to narrow down your choices. Keep these factors in mind, consult us, and be sure that you will invest in the ideal Moffett lift truck for all your business requirements or needs in Alabama.